A federal report on the state of Canadian forests says the combination of pests and forest fires is a threat to the sector’s growth, even as demand for Canada’s softwood expands. In other Business news: declining lumber stocks are a buying opportunity for some investors; and New Zealand’s log market is hurt by the US/China trade war. In Wood Product news: the International Building Code debate over mass timber is heating up as Lisa Podesto of Lendlease takes on the National Ready Mixed Concrete Association; and untreated wood shake roofing is outlawed in Ashland, Oregon. In National Forestry Week news: stories from the BC Tree Seed Centre in Surrey; the Trees Matter Network in Victoria BC; and from Colin Carroll (CIF President) in Corner Brook, Newfoundland. Finally, the Nature Conservancy says 9 of 10 Canadians are happier, healthier and more productive when they spend time in nature. OTTAWA — A new government report on the state of Canadian forests shows that the area burned last year by fires jumped nearly three-fold compared to the year before. In 2017, almost 3.4 million hectares of forest burned, up from the 1.4 million in 2016, said the latest analysis from Natural Resources Canada. The numbers may be even higher in next year’s report. …The two threats to Canada’s forest may only grow over the coming years as climate change creates conditions for more and stronger fires, as well as the spread of pests. …The report says the combination of pests and forest fires is expected to challenge growth in the country’s forestry sector, even as demand for Canada’s softwood expands — especially from the growing U.S. housing market. The report predicts continuing decline for paper products and warns of faster job losses in newsprint as a result of ongoing trade disputes with the U.S.
TORONTO – The Nature and Me survey, released by the Nature Conservancy of Canada (NCC) in partnership with Ipsos Public Affairs reveals a growing disconnect between Canadians and nature. Canadians feel happier, healthier and more productive when they are connected to nature and yet, 74 per cent say that it is simply easier to spend time indoors and 66 per cent say they spend less time in nature today than in their youth. The survey is being released as part of NCC’s announcement of the Landmark Campaign – the largest charitable campaign for conservation in Canadian history. This $750-million campaign will double the land and water conserved by NCC to more than 6 million acres, including 500 new conservation projects. To inspire Canadians, NCC has also curated a pop-up art exhibit called Nature and Me. 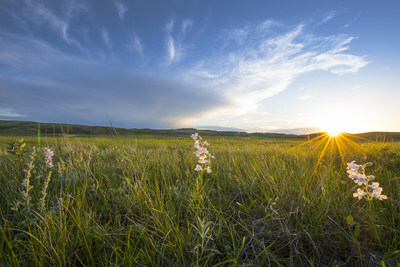 The exhibit features nature photography and reflections from notable Canadians. Response to “A local fairy tale, not for the Cowichan Estuary”, (Sept. 14). …Cowichan Bay is a working harbour. It has been that way long before residential development took place above the bay. …The road and paving to the terminal was not paid for by government, but by private industry such as MacMillan Bloedel. …The terminal itself was not always an island. It only became an island after Tidal Harmony Holdings joined with other local stakeholders in breaching the causeway to improve fish habitat within the estuary. …We recently worked with Western Forest Products and Pacific Industrial and Marine in removing six abandoned derelict vessels from the estuary that posed a possible environmental hazard. …The ‘doom and gloom’ constantly being preached is troubling and misguided. All of us working at the Cowichan Bay terminal pay taxes and work hard at protecting the environment. Energy, Northern Development and Mines Minister Greg Rickford provided no specific timeline but offered a wait-and-see answer regarding provincial funding needed to preserve short-line railway service in northeastern Ontario. The railroad’s parent company, Genesee & Wyoming Canada, maintains it will discontinue freight operations on the 173-mile line between Sault Ste. Marie and Sudbury if $43.2 million is not provided by the federal and provincial governments for much-needed track and railway crossing infrastructure improvements. …His riding includes Espanola, home of Domtar’s pulp mill, and Nairn Centre, where an EACOM sawmill is located; two industrial suppliers heavily reliant on the line to move forest products to market. The provincial government is coming under fire from Roddickton-Bide Arm Mayor Sheila Fitzgerald after Scotiabank announced it would be closing its doors in the Northern Peninsula town. Fitzgerald is concerned the town is losing businesses like Scotiabank because of the harsh economic realities it is facing. However, she believes a forestry deal would help the town. She says the town needs an announcement from government on a proposed forestry deal as soon as possible. Active Energy Group, a British company, has proposed to manufacture wood pellets in forest management districts 17 and 18. CEO Richard Spinks confirmed to The Northern Pen last fall that it is considering Roddickton-Bide Arm for the plant and sawmill. …The file has been in government hands since last year. Fitzgerald feels a Forest Management Agreement with Active Energy Group could change the economic outlook for the town and help keep businesses like Scotiabank from leaving. 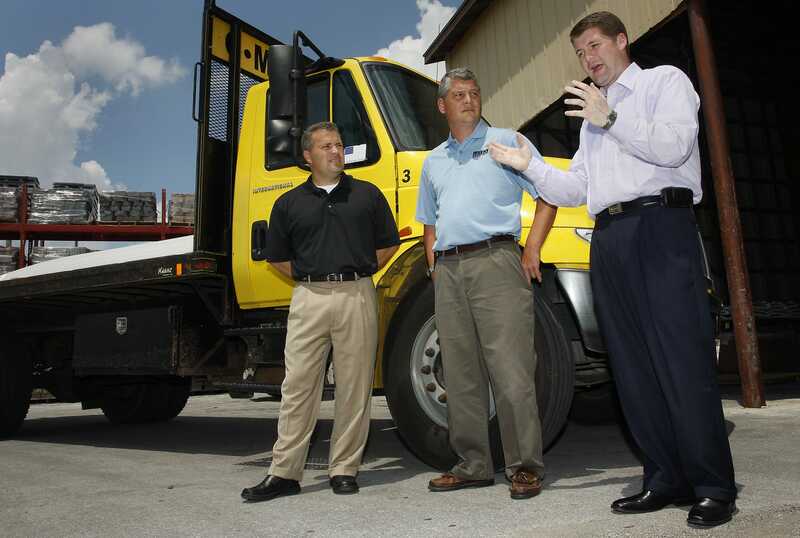 Springfield-based Meek’s Lumber Company has new owners. In a news release dated Wednesday, two private-investment firms based in the Los Angeles region announced that they bought Meek’s, which originated in 1919 in Lockwood, some 50 miles northwest of Springfield. Angeles Equity Partners and Clearlake Capital declined to disclose Meek’s sale price in their news release, but they noted that “members of the Meek family will remain actively involved” going forward. The release stated that Charlie Meek will remain on the executive team as executive vice-president for business development, while Carrie Meek will continue serving on the company’s board of directors. New Zealand’s export log market took a hit from the trade dispute between the US and China as the declining value of the yuan crimps the buying power of the country’s largest log market. …”The Chinese log market has again dominated talk in the NZ forestry industry amid its sudden depreciation these past two months…” AgriHQ analyst Reece Brick said in his report. “All of this weakness is directly related to the reduction in Chinese buying power” …Chinese demand for New Zealand logs has been strong over recent years after Asia’s largest economy clamped down on the harvesting of its own forests and reduced tariffs on imported logs to meet demand in its local market. However, trade tensions between the US and China have dented the value of the Chinese currency and traders fear rising tariffs will hurt economic growth and dampen demand. 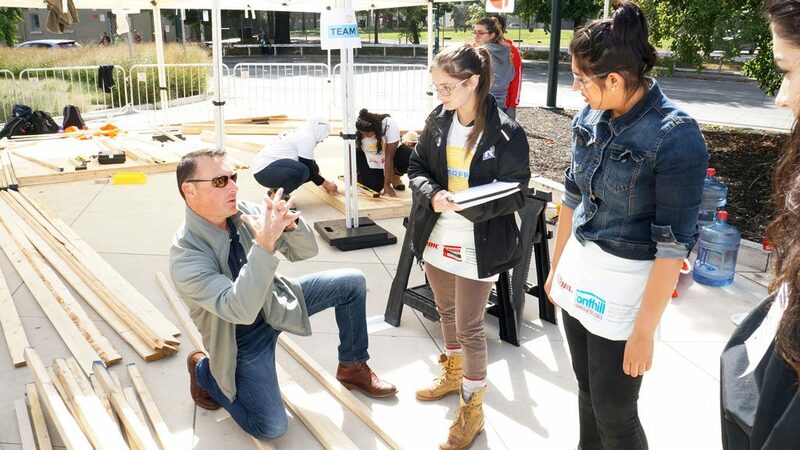 About 100 students from 10 universities scrambled around the University of Toronto’s new school of architecture grounds on a recent fall weekend, building clean drinking water stations as part of the fourth annual TimberFever competition. The contest, which teamed up architectural and engineering students in a competition of collaboration and building acumen, saw 16 teams design and build their interpretation of a water station composed of lumber, plywood and two five-gallon water bottles. “I think the biggest thing about it is that we are giving students in engineering and architecture…exposure to working together,” says event organizer David Moses, principal of Toronto-based Moses Structural Engineers. …Carpenters from Carpenters’ Union Local 27 volunteered “to provide guidance” on safe tool use and practical construction methods. Build with Strength applauds the National Association of State Fire Marshals (NASFM) for publicly opposing significant changes in the ICC 2021 Code Proposals that would loosen safety requirements for tall wood buildings. The proposed changes would increase height, area, and story allowances for tall wood buildings based in part on “professional judgment.” The State Fire Marshals have called for data supporting decisions related to code changes. “The current proposals go too far, too fast, in an area of significant and long-lasting importance,” the position statement says. “No live fire testing has been conducted in buildings constructed to the limits being proposed, and the limited application of external influences to fire behavior. …NASFM also took issue with limited testing and research related to these code changes. A study released by Urvashi Kaul, Consultant and Adjunct Assistant Professor at Columbia University, seeks to address the issue of wood-framed residential fires, particularly multi-family wood-framed structures. The study, which examines two recent California apartment fires, focuses primarily on the economic impact wood-framed building fires have on communities and local governments. The two fires cited in the study represent a range of financial loss and were selected to reflect the various costs to society of wood-framed residential fires. …“If we view construction projects as community investments then we should prioritize safety and longevity in the selection of materials,” says David Kersh, Executive Director of the Carpenters/Contractors Cooperation Committee. David Kersh is a member of Build with Strength, a coalition of the National Ready Mixed Concrete Association. While widely accepted in Europe, designers and builders in the U.S. have struggled to take full advantage of mass timber because of current limitations in prescriptive codes. This fall, government members of the International Code Council will vote to update the International Building Code to include a new Type IV construction category for mass timber. It will, if passed, ensure building officials have the tools they need to keep the IBC relevant to the changing marketplace. …My company, Lendlease, completed its first cross-laminated timber (CLT) project at the Candlewood Suites hotel at Redstone Arsenal in Huntsville, Ala., in 2016 and did it 37% faster than our light-gauge metal hotels. …If the International Building Code is to remain relevant, the proposed code changes are essential. Mass timber’s time has clearly arrived. Will my insurance premium increase due to new law? ASHLAND, Ore — On Sept. 18, the City Council unanimously passed two updated and expanded wildfire protection ordinances for new construction…. The focus of the ordinances is primarily on flammable vegetation within 30 feet of buildings, but they also outlaw untreated wood shake roofing throughout Ashland. …First, the majority of the ordinance applies only to new construction. …Second, the ordinance defines certain flammable plants as a nuisance and prohibits new plantings across the whole city, building permits or not. …Finally, the new ordinance package does not address existing trees and shrubs, most building materials, or dead vegetation and debris. The first mainstream fresh dairy brand to switch from plastic milk bottles to cartons goes on sale in UK supermarkets on Wednesday, in the latest drive to reduce the use of single-use plastics. With millions of plastic milk bottles disposed of daily in the UK, a2 Milk is switching to 100% recyclable paper-based cartons that use 80% less plastic than bottles and carry the Forest Stewardship Council label. That means they are made with pulp from FSC-certified forests and/or recycled sources. The UK uses 38.5m plastic bottles every day, of which 15m are not recycled, and they are now standard packaging for mass-produced cows’ milk sold in UK supermarkets. …In the US, the inventor of the milk carton took out his patent in 1915 and the storage method has largely replaced glass bottles. Former employees and special guests celebrated the 60th anniversary of the ministry’s Tree Seed Centre, during National Forest Week. To commemorate the anniversary, Doug Donaldson, Minister of Forests, Lands, Natural Resource Operations and Rural Development, planted a whitebark pine seedling. Whitebark pine, found at high elevations in southern B.C., is considered an endangered species. The planting of a whitebark pine seedling symbolizes the government’s recovery efforts for this tree. Started in Duncan in 1958, the Tree Seed Centre moved to its South Surrey location in 1986. The Tree Seed Centre supplies a continuous supply of seed to reforest B.C.’s public forests after harvesting or natural disturbances, such as the mountain pine beetle or wildfire. There’s no better time to talk about the high number of proposed clearcuts in Queens County than national forest week, says Ray Plourde. “And there seems to be an awful lot of concentrated cutting in southwest Nova Scotia,” the wilderness co-ordinator for the Ecology Action Centre said in a recent phone interview. …Sixty per cent of that is expected to be clear cut, with the remainder “being partial harvest methods,” Nunn said. …Bill Lahey stated clearcutting shouldn’t happen “adjacent to the boundaries of parks, nature reserves, wilderness areas, or other protected areas,” in his 70-page independent review of Nova Scotia’s forest practices that was released last month. Catastrophic weather events such as the tornadoes that struck Ottawa last week are becoming increasingly common, and that’s threatening the lush tree canopy that covers large parts of the city, according to an urban forestry expert. Mike Rosen, president of Tree Canada, spent part of Wednesday — National Tree Day, as fate would have it — helping a co-worker clear her property of trees and branches downed in Friday’s violent storm. …Rosen believes urban forests across the country are under threat. “We have lots of these weather events going on now, enough so that it really has an effect on the urban forest. I throw drought into this as well as almost a permanent weather event. Look at the summer we had in the Ottawa-Gatineau area. I mean, there was no rain for a six-week period,” he said. The U.S. Border Patrol agent who admitted starting a 47,000-acre fire last year in the Santa Rita Mountains is facing federal misdemeanor charges in connection with the blaze that caused more than $7 million in damage. Dennis Dickey is accused of causing “timber, trees, slash, brush and grass to burn” without a legally required permit, federal prosecutors said in new court records. In an affidavit, Special Forest Service Agent Brent Robinson said Dickey ignited the fire by firing a rifle at an explosive target fueled by Tannerite, an explosive substance that’s intended to detonate when shot by a high-velocity firearm bullet. Sean Chapman, Dickey’s attorney, declined to comment on the case. Dickey has been ordered by U.S. Magistrate Judge Elizabeth Bowman to appear at a U.S. District Court hearing, which is scheduled for Friday. BILLINGS, Mont. — A court ruling that blocked grizzly bear hunts in the U.S. West carries far wider political implications amid a push by Congress for sweeping changes to how imperiled species are managed. The ruling restored protections for more than 700 grizzlies in and around Yellowstone National Park. It will likely force federal wildlife officials to reconsider their piecemeal approach to restoring bruins across the Northern Rockies. As wildlife advocates celebrated the ruling, it was quickly seized upon by Republicans as the latest example of supposed flaws in the Endangered Species Act, a 1973 law meant to shield plants and animals from potential extinction. …Wyoming Rep. Liz Cheney wants Congress to reverse U.S. District Judge Dana Christensen’s ruling on Yellowstone grizzly bears of protections and prevent the move from being challenged in court by wildlife advocates. CASPER, Wyo. — A wildfire burning in the Bridger-Teton National Forest has destroyed at least 40 homes, officials said late Wednesday afternoon. The new count issued by Sublette County Sheriff’s Sgt. Travis Bingham is double a Tuesday evening estimate of at least 20 destroyed buildings. Bingham said in a statement that firefighters had saved 70 homes. Crews were still working to assess the status of other homes in the area. The 50,586-acre Roosevelt Fire has forced 500 people to evacuate their homes in rural subdivisions near the tiny community of Bondurant in western Wyoming. …Firefighters working the conflagration numbered 982 on Wednesday morning. They were assisted by 10 helicopters. 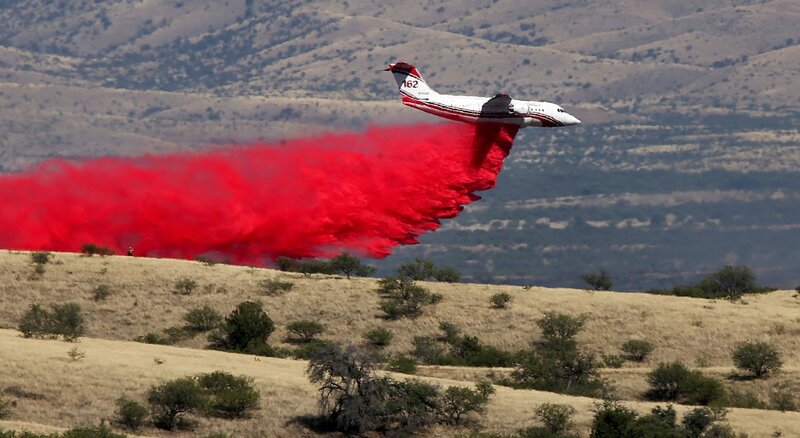 A total of 22 aircraft battled the fire on Tuesday. 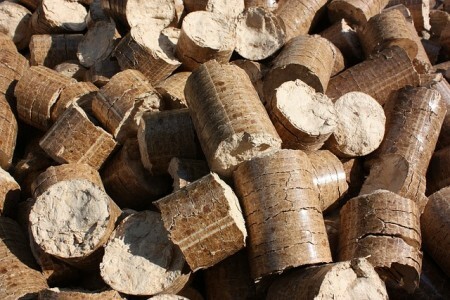 According to an announcement made by the Georgia Department of Economic Development (GDEcD), wood pellet suppliers Farm Renewable Fuels plan on investing $15 million in a production facility in Brantley County. The plant is to be operated by a division of Farm Fuels, Archer Forest Products and the move is expected to create around 35 new jobs. Harold L. Arnold, president of Farm Fuels said in a statement that, “Archer Forest Products LLC will be supplying wood pellets to help Farm Renewable Fuels to meet increasing demand. We would like to thank the Development Authority, County Commissioner, the City of Nahunta, and the Tax Assessor for helping us through the process of acquiring Archer Forest Products LLC.